All right lets get started on how to solve two step equations. 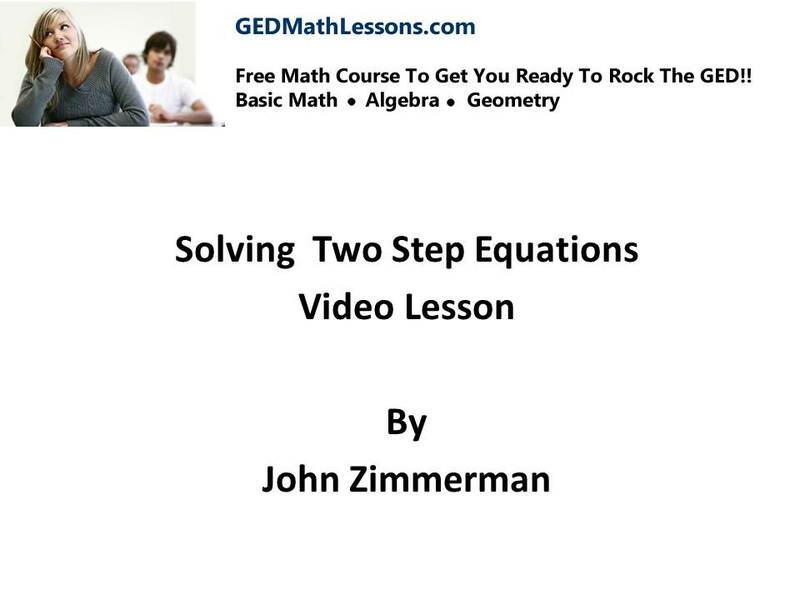 This lesson builds on lesson 1 where you learned how to solve one step equations. Remember that math builds on itself so if you’re weak in the previous material we covered you will have problem with almost all future math topics. Common weaknesses for math students are fractions, order of operations, positive and negative numbers. Also many students that understand concepts do poorly at math because they don’t write neat and show all their work. As you study math try to make your work look like mine- you can do this! the only way to change the results your getting is to change yourself- always look within to find the solutions….